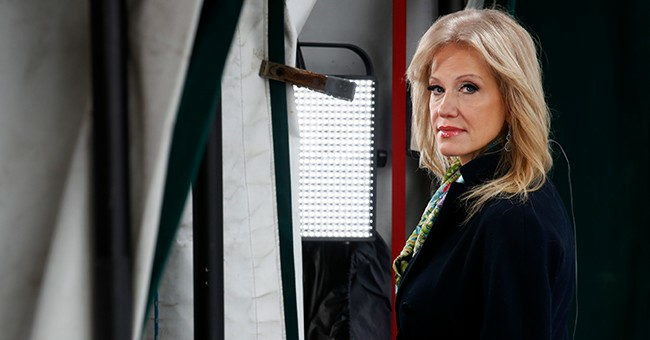 Do We Have to Talk About This Crazy, Escalating Feud Between Trump and Kellyanne's Husband? This is all so exquisitely awkward and uncomfortable. Trump would do himself a lot of good by leaning into the very strong economy -- on which he's performing well -- and imposing the discipline not to take this sort of distractionary bait. That applies doubly to not gratuitously attacking deceased Senators. But that ship has sailed. It's who he is as a person, and that was abundantly clear to voters prior to his election. It could harm his chances at re-election, but he's unlikely to change his stripes. Meanwhile, what on earth is going on at the Conway household? Allahpundit snarks, "are the Conways going to live-tweet their divorce?" I think that's a joke. It's entirely possible that things are fine at home, and this is the weird, public way that the couple is blowing off steam over obvious political differences. There are also theories that Kellyanne is strategically encouraging it for any number of possible reasons. But the vitriol that's flying, coupled with Kellyanne's quotes above, suggest some real dysfunction. It's hard to watch, actually. What's going on inside their marriage is their business, but I know that I would be hurt and bothered by a significant other undermining my work, very openly, on a regular basis. And every time George tweets provocations (some of his insights and criticisms are fair, of course), he knows the media will be highly interested in picking it up and running with it, which will only stir Trump's anger even further. It's a nasty little cycle in which nobody looks terribly good, though Kellyanne seems to be handling it as graciously as could be expected. And she has a point about armchair diagnoses. A mutual ceasefire seems like the best course of action for all involved, but that seems unlikely. What a shame. The country would be better off without being subjected to this spat.